You are here: Home / Blog / Investing / Can you learn about share trading by playing the ASX Sharemarket Game? By nature, I am typically a long-term share investor. I want my money to grow, and I want it to pay me more money to keep me in the style to which I have become accustomed. I do not want to keep looking at it. For me, it’s akin to watching paint dry. This is what I mean by lazy. I don’t have much interest in the daily monitoring of stock prices, or lengthy analyses of tickers and wave functions. The Game runs for 15 weeks. This is a blink of an eye when you invest like I do. Long term strategies do not apply in this scenario – many shares won’t even earn a dividend in that period. I know this about myself, and yet I start the game anyway. I begin, as we all do, with good intentions. I mentally commit to weekly monitoring and regular buy/sell activity. I grow bored and before I know it, I’m in the red and it’s the end of the game. Thank goodness it’s virtual money I’m playing with, not my own, though is most likely why I tend to ignore it. In light of this, would I recommend you play The Game? Does it matter whether you’re like me, or is The Game only relevant for the aspiring day traders among us? that the stock market is a game in some ways, and it’s not logical. It’s driven by two emotional forces: fear and greed. Forcing logic on it employs economists, but it feels akin to the humors theory of medicine. ASX has excellent educational materials, and The Game may give you the inspiration to check them out. I speak to intelligent people who love property but hate shares. They think it’s gambling, or inherently risky. I have trained myself not to sigh or shake them. a bad experience – when you bought or sold the wrong share at the wrong time, and it cost you by stressing you out and eating into your capital. All investment has risk. Property can represent even more risk, considering you need debt in most cases to buy it. And now I’m going to be blunt: you need to get over it. Shares are a sensible inclusion in any investment portfolio. If you have superannuation invested in shares in any way, you need to know what’s going on with them. Are you off to check your superannuation allocation? I hope so. So, this is your chance to get over your subconscious fears and phobias. Use a virtual $50,000 to motivate you into exploring the ASX and what companies are on there. And guess what – there are no rules that you need to invest real money at any time during or after the game. If you play and decide you’re going to stick to your ‘shares are gambling’ guns, at least you will have affirmed your beliefs. That’s got to be better than blindly following them like a knee-jerk reaction. 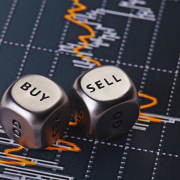 If you’ve bought shares before, you’ll know the ins and outs of buying and selling. Use this as an opportunity to look at some shares you haven’t examined before, and to consider the market as a whole. You might find a stock you’d like to add to your holdings, or spot a good time to sell something that’s underperforming in your portfolio. And… you might win The Game. Wouldn’t that be fun. Imagine the bragging rights. Buying the same kind of shares I buy with my own money is not going to work for me. I will instead be trend following (thank you Michael Covel). I’ll be trading the natural variation and volatility of specific shares, for sh*ts and giggles. I’ve actually done this in real life already, albeit on a tiny scale. I’ve done two trades in the last 16 months using this theory. I did it because I was a bit bored. I’d paper-traded the strategy for several years (I’m an analytical engineer, remember). So I put some cash down – not much, but enough to keep me interested – followed some set rules and made 30% from the two trades. One took 181 days (net 13.4% gain), the other took 35 days (net 18.6% gain). I’m going to see if I can spot some other trades like that in The Game. After all, I can’t do much worse than I have before. Sign up for an ASX account, register for the Public Game (starts this Thursday 23 February 2017) and get into it. And if you REALLY want to get involved: join my closed Facebook group. This is where I will be sharing my analysis and decisions, and I hope the other players will too. Good Morning, was hoping you could direct me to your closed Facebook group, as you have mentioned on your website, in relation to the ASX game, as am interested in learning more and follow your advice. Under the “Game play” menu, select “Leagues” and then “Join leagues”.